After stating last week that, despite Chinese objections, American naval ships will “fly, sail and operate wherever international law allows,” Defense Secretary Ashton Carter personally made good on that promise by joining the crew of the USS Theodore Roosevelt in the South China Sea today. The USS Theodore Roosevelt navigated within 200 miles of the Spratly Islands, among the most hotly contested areas of the South China Sea. The Chinese government has asserted that most of the sea is sovereign Chinese territory and has built a series of artificial islands and military facilities on reefs near the Spratly Island chain. 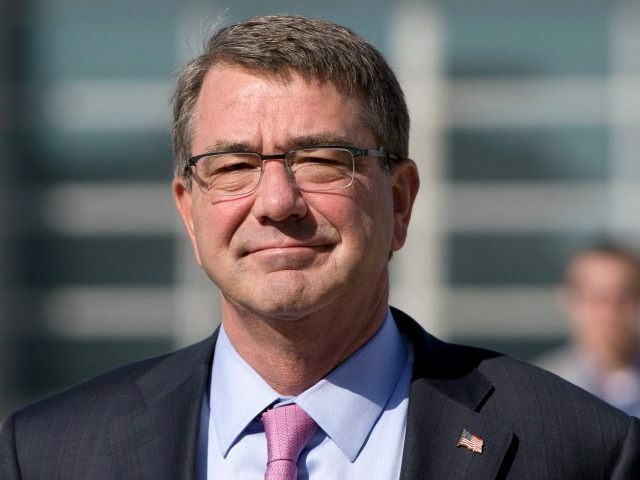 Secretary Carter’s visit follows a week in which another American Navy ship, the USS Lassen, sailed within 12 nautical miles of the Spratly chain, triggering a series of objecting remarks from the Chinese government to America’s presence there. The region of the South China Sea that China claims as exclusively its own is disputed by Vietnam, the Philippines, Brunei, Malaysia, and Taiwan. Joining Secretary Carter onboard the Roosevelt was Malaysian Defense Minister Hishammuddin Hussein, as Carter is currently on a visit to Malaysia to strengthen defense ties. Hishammuddin spoke with Chinese National Defense Minister Chang Wanquan shortly before departing to meet Carter at the Roosevelt. While he has been among the most vocal in objecting to Chinese colonization of the South China Sea, telling reporters this week that America’s presence in the region was “very important” to diminish the “risk of escalation,” Hishammuddin appears wary of worsening ties with China. Carter, too, however, has made clear he wants to keep communication with China open. In announcing his tour on the Roosevelt, he also told reporters he has accepted an invitation to Beijing and will visit there in the spring. As another indication that the United States is working to weaken China’s position in the South China Sea without cutting ties completely, three Chinese naval ships docked in Florida Thursday for a friendly visit. According to Chinese state news outlet Xinhua, “the U.S. navy will host receptions, picnics, as well as sporting events for Chinese crew members.” A joint military exercise is also scheduled.